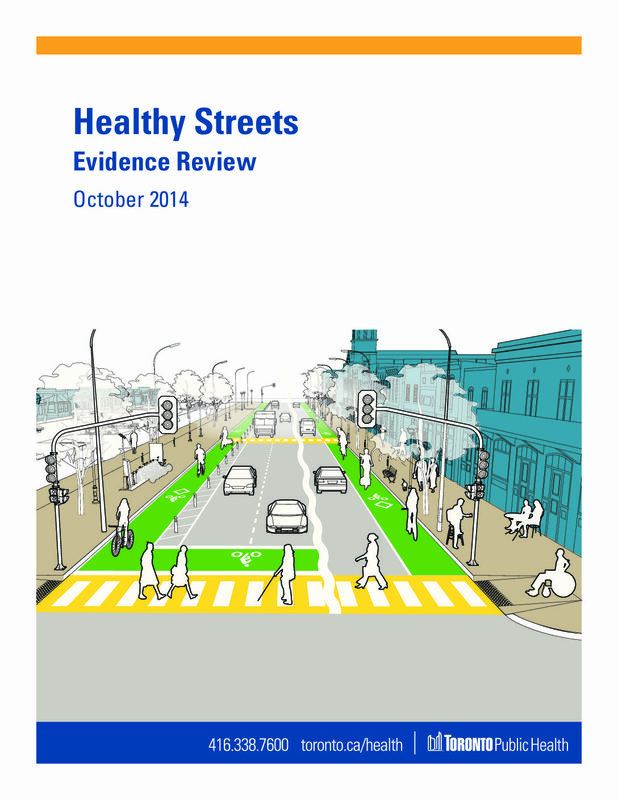 The Healthy Streets: Evidence Review, produced by Toronto Public Health (TPH), gives a thorough examination and assessment of the available published evidence on specific Complete Street design interventions and their association with health outcomes. It draws conclusions about how the information can be used in Toronto to promote healthier street design. This report is part of a trio, commissioned by the TPH on Complete Streets and health outcomes. Healthy Streets: Jurisdictional Review looks at the experience of leading North American cities in implementing Complete Streets, and Healthy Streets: Design Features and Benefits highlights the design features being used on Complete Streets.